Meatless Fridays (no meat, only fish) have been the tradition in Catholic countries for many centuries. The Spanish also observed Lent by giving up meat, and they developed a wide ​variety of salted cod or "bacalao" recipes. Even though today salting fish is not needed to preserve it, the traditional salted bacalao dishes remain popular—because they taste great! First, soak the cod in water for 24 to 48 hours to leach out the salt, then prepare with accompanying sauces—tomato sauce, paprika sauce, or vegetables in wine sauce. Like so many of the salted cod dishes, this comes from the Basque Country. 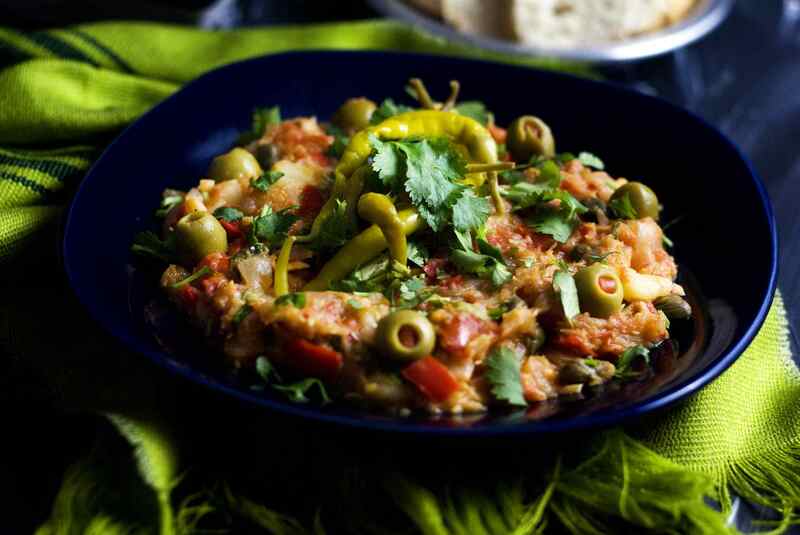 Salt cod is first sautéed in garlic-infused olive oil, then smothered in a "pisto" sauce made of chopped onions, green peppers, and ripe tomatoes. It is such a tasty dish, and easy enough for any novice. This is a good recipe for beginner cooks because it is simple. First, fry the fresh codfish, then prepare a sauce made of smokey Spanish paprika, vinegar, and lemon juice. The paprika in the sauce makes this a very colorful and aromatic dish, and a good main course, especially for Lent. Serve with plain rice or home-fried potatoes. Although eaten year-round, this is traditional Spanish dish to prepare at Christmas and during Lent. The salty cod combines well with the sweetness of the roasted pepper and tomato sauce. Serve with fried potatoes. Bacalao al Pil Pil is a traditional Basque dish, but it is well known all over Spain. It is simply made with salt cod (bacalao in Spanish), thin slices of garlic, and olive oil.